The King Tiger heavy tank was introduced in 1944 during the latter stages of WWII. The first 50 examples were equipped with a turret desgined by Porsche while mass produced tanks featured an improved turret designed by Henschel. 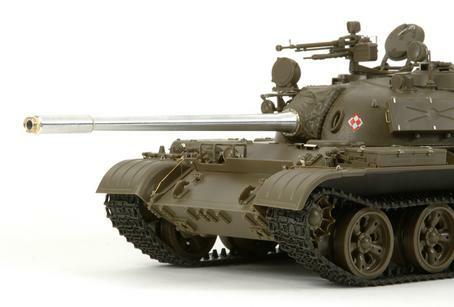 The tank was armed with a powerful L/71 88mm gun and protected by 150mm frontal and 80mm side armor. 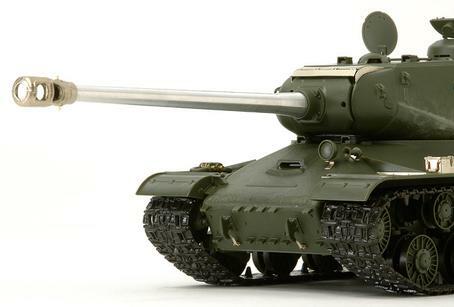 Many of these formidable tanks were involved in the German offensive through the Ardennes in December 1944. As for the DKW NZ350, this motorcycle was produced from 1940 and late-war versions featured a smaller headlight as well as thinner fenders. This model comes with photo-etched parts and a metal gun barrel made by acclaimed Polish aftermarket parts manufacturer Aber®. 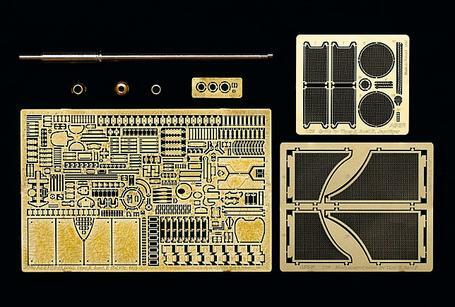 The photo-etched parts include fine details such as equipment fasteners, periscope, fender attachment parts, and engine grille covers. The aluminum gun barrel features a brass muzzle brake, providing the model with a heightened level of precision. 1/35 scale King Tiger plastic assembly kit model with photo-etched parts and metal gun barrel from Aber®. 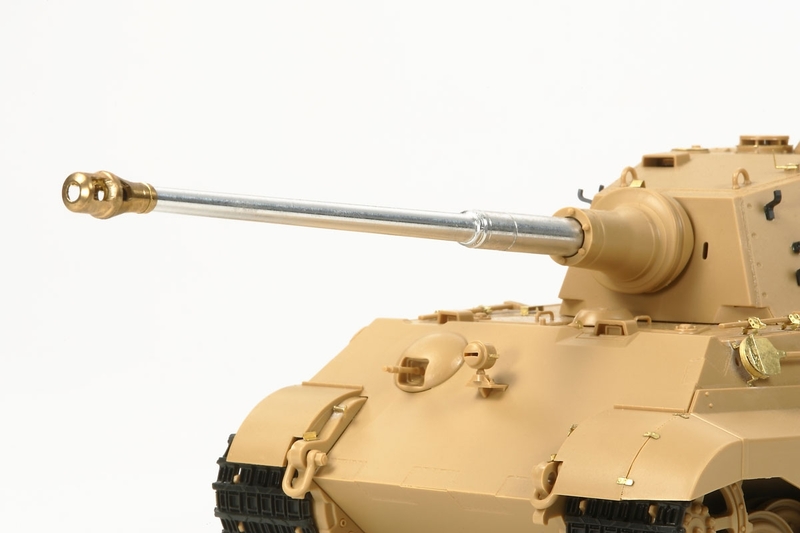 ★Length: 294mm, Width: 108mm ★Accurately reproduces the Henschel "Production Turret" variant. 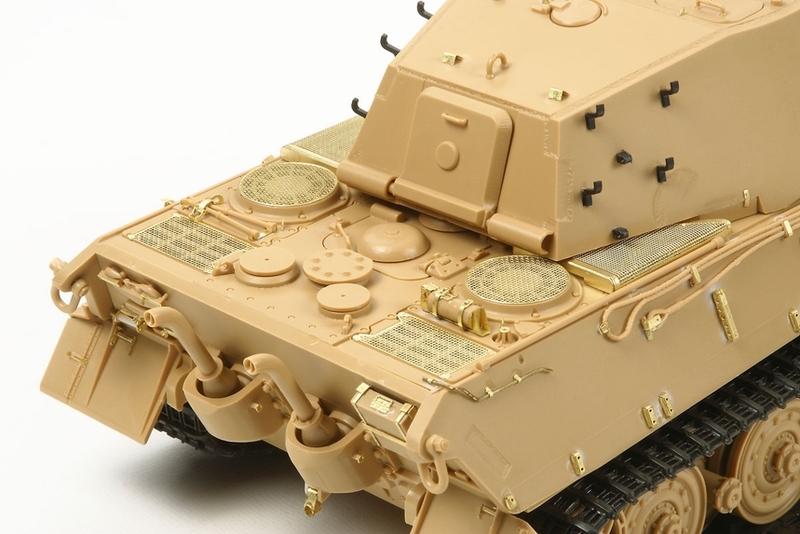 ★Parts for two types of gun mantlet included. ★Rear escape hatch is movable while other hatches may be assembled in either open or closed position. ★Set also includes a late-war DKW NZ350 motorcycle. ★Comes with 3 figures to depict courier, commander, and loader. 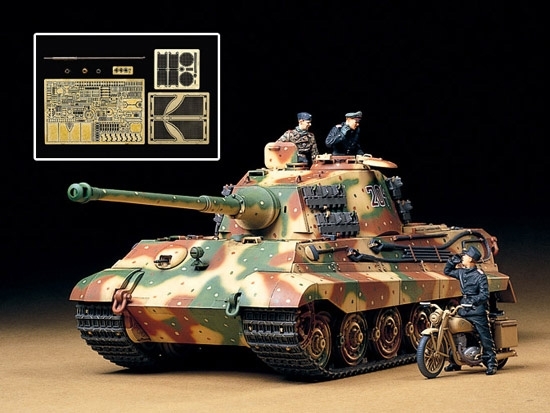 Special Feature 1 Item 35252 1/35 German King Tiger (Ardennes Front) x 1pc.